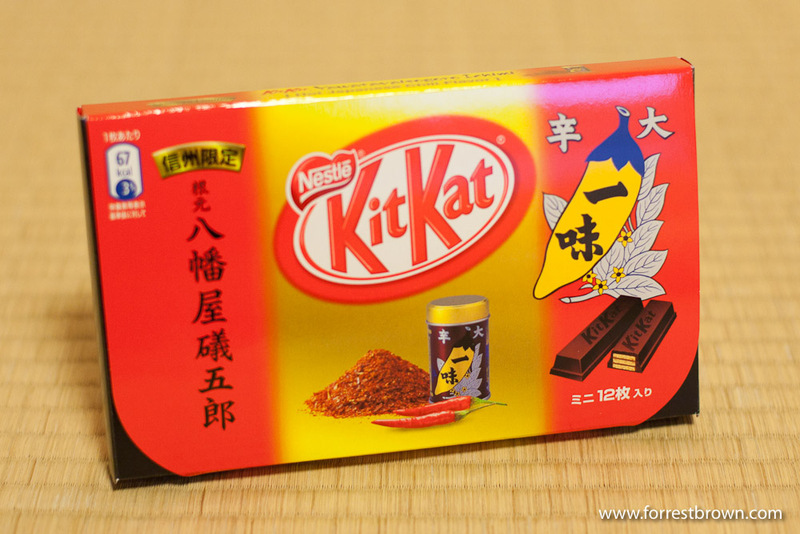 One interesting thing about Japan are it’s Kit Kat candy bars. Everyone has probably eaten a Kit Kat and knows that they are creme filled wafers, covered in an layer of milk chocolate. But In Japan, Kit Kats come in a huge variety of flavors, everything for the regular chocolate to a crazy Wasabi flavor, some really good and some truly awful. 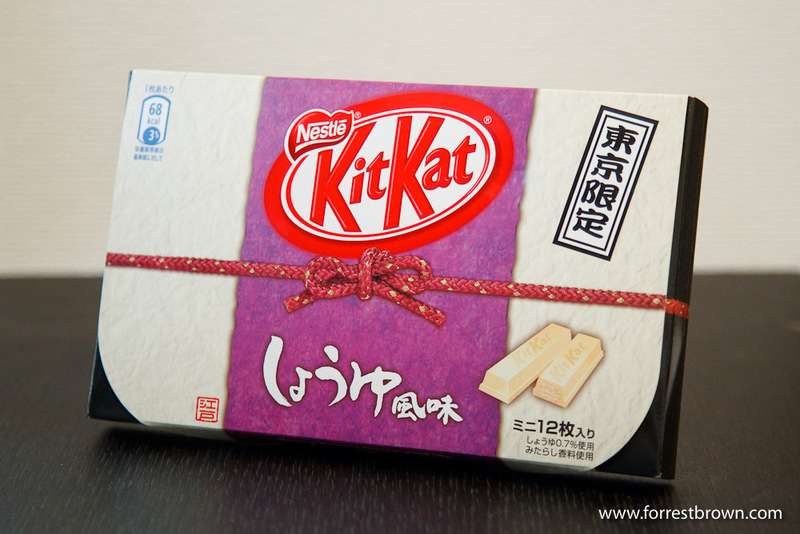 What’s interesting is that different seasons and different regions of Japan have different flavors of Kit Kats that people collect as souvenirs of that region. Once I saw that there were so many flavors of Kit Kats, I started watching out for new flavors to try whenever I was traveling. Soy sauce flavored Kit Kats sounds pretty strange and possibly awful, but they were actually pretty good. They had a sweet and salty flavor, kind of like chocolate covered pretzels. A Yubari Melon is a Cantaloupe like melon that is grown in the town of Yubari in Hokkaido Japan. The crazy thing about the Yubari Melon is how much they sell for. Just one melon sells for $100 -$200 (yes, really), with two melons selling at auction in 2008 for $26,000 (yes, Japan is strange sometimes). I’ve never had a Yubari Melon, so I can’t say if the price is worth it. But I’ve had Yubari Melon flavored Kit Kats. The Kit Kats were interesting, they were milk chocolate and looked like a regular kit kat, but there was a faint cantaloupe smell to them. 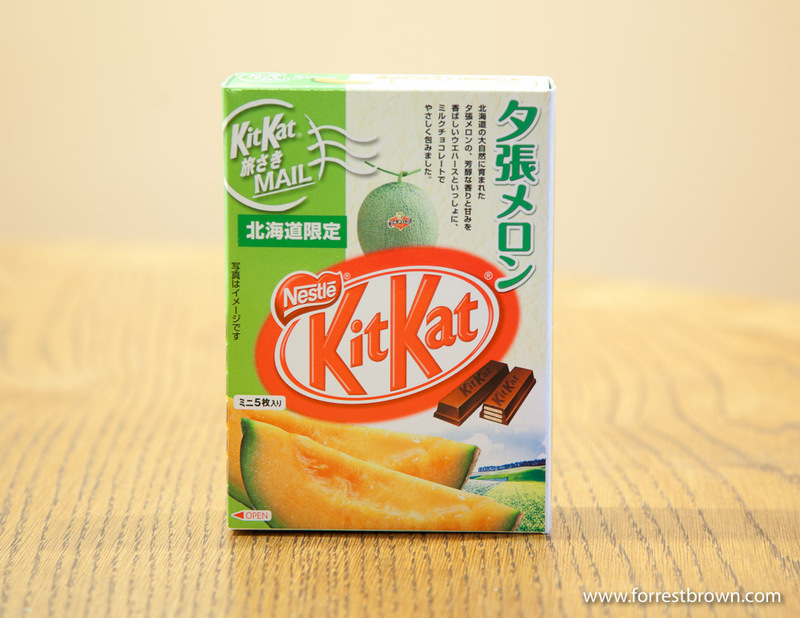 The taste was pretty much what you would expect if you crossed a cantaloupe with a Kit Kat. Unfortunately it’s a combo that doesn’t really work all that great together. The Cantaloupe flavor was not real strong, but it was noticeable. 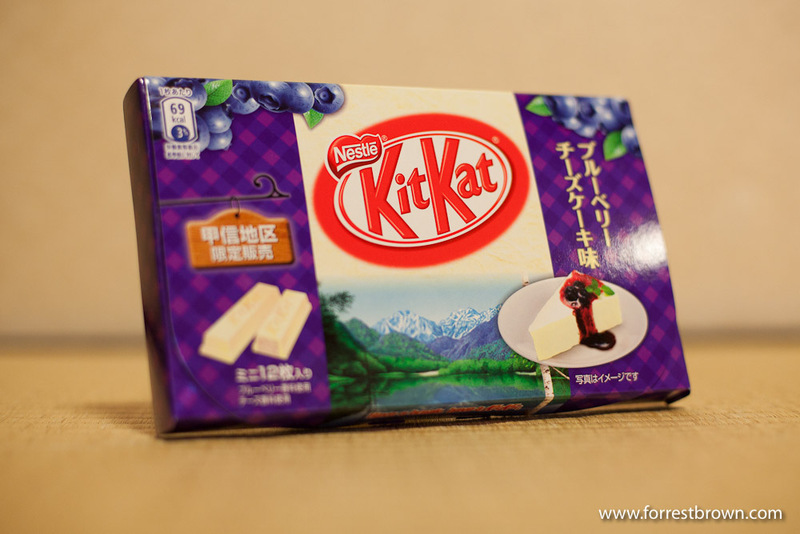 Blueberry Cheese Cake Flavored Kit Kat. 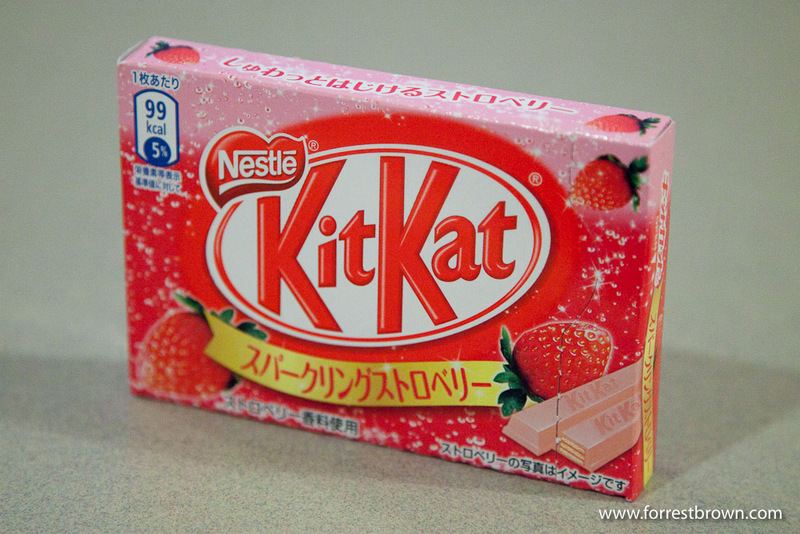 One interesting thing about Japan are it’s Kit Kat candy bars. Everyone had probably had a Kit Kat and knows that they are creme filled wafers, covered in an layer of milk chocolate. But In Japan, Kit Kats come in a huge variety of flavors, everything for the regular chocolate to a crazy Wasabi flavor, some really good and some truly awful. 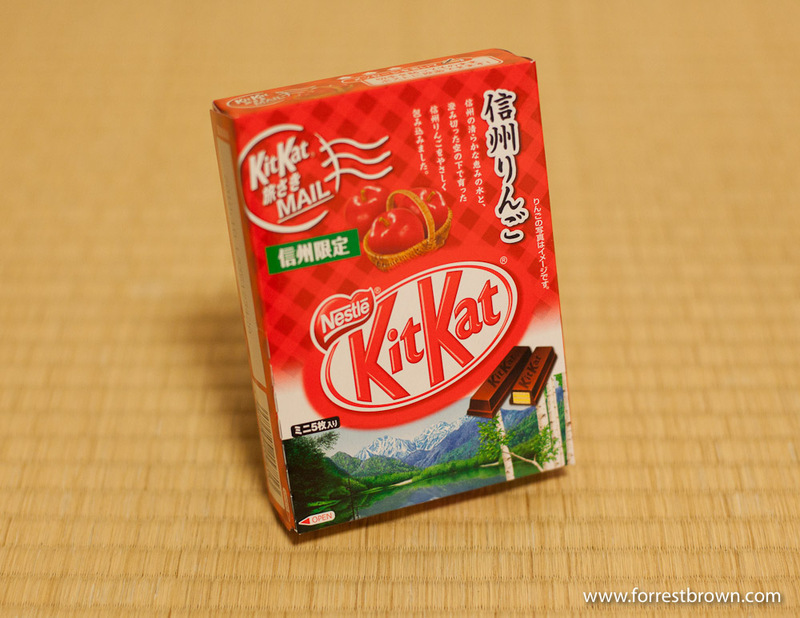 What’s interesting is that different seasons and different regions of Japan will have different flavors of Kit Kats that people collect as souvenirs of that region. Blue Berry Cheese Cake Flavored Kit Kat. Apple flavored Kit Kats sounds like it might be good, but it was just OK. I don’t know if apples and chocolate are flavors that go together. Red Pepper flavored Kit Kat. Red pepper and dark chocolate, two tastes that don’t taste great together. Starts off with standard dark chocolaty taste, but then the red peppers kick in and don’t stop. It’s not crazy hot, but you definitely know you’re eating something spicy. The spices lingers for quite a while…not really a good thing. 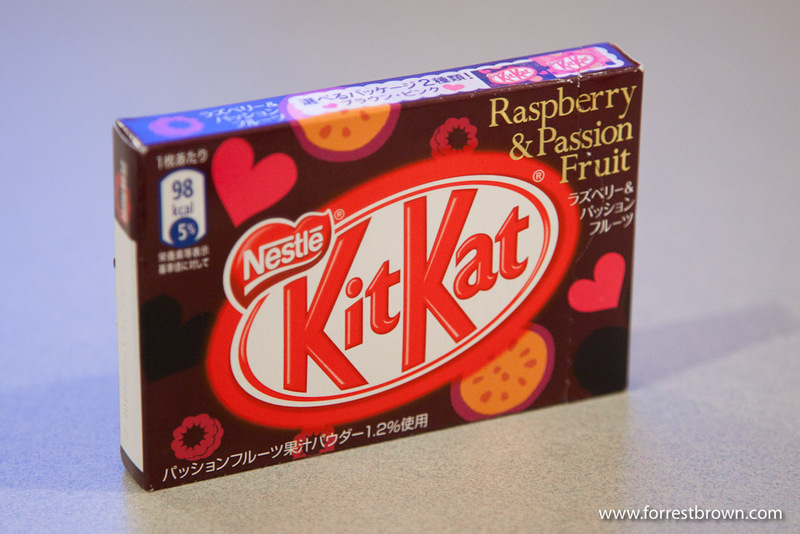 Raspberry and Passion Fruit Flavored Kit Kat. This Kit Kat had a overly sweet, artificial fruit taste that wasn’t very good. 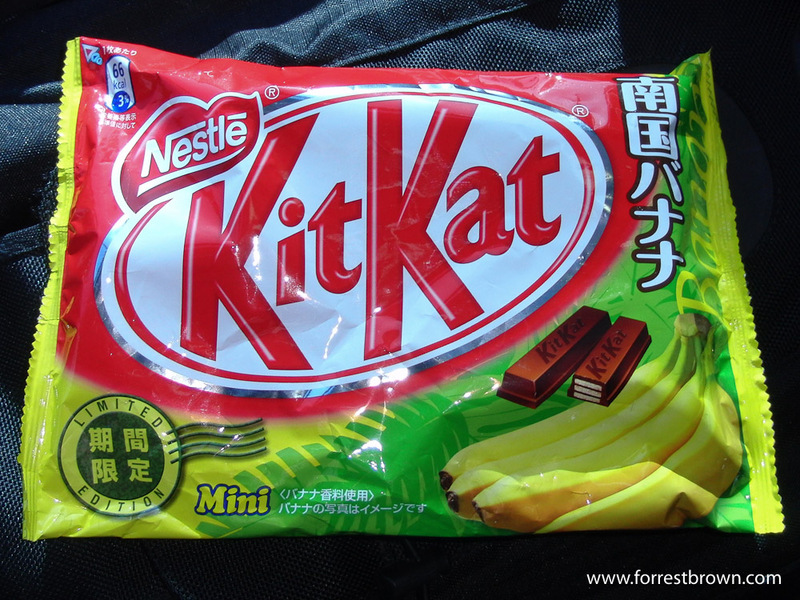 Not a favorite, I like fresh banana, but I tend not to like banana flavored candy or things like that and the banana flavored Kit Kat was not exception. The banana flavor seemed artificial.